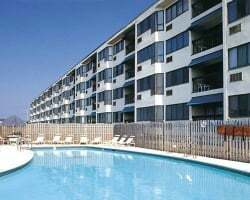 You're surrounded by a world of vacation pleasures at *Brigantine Beach Club*. From the surf-washed beaches to the glamorous casinos, the area holds a lengthy list of activities for vacationers. Indulge in leisurely hours on the beach or relax in the sun by the outdoor pool. You can also enjoy active days of boating, fishing, golf, and tennis close by. At night, head for the exciting nightclub showrooms and casinos of Atlantic City, approximately five miles from the resort. Water lovers' paradise! Yearly usage in April week 16! Buyer receives complimentary closing credit; inquire for details! Highly Desirable Location, with Views of Atlantic City! 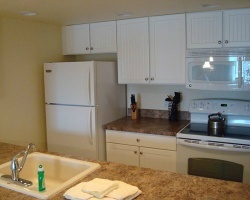 Full Service Family Resort Just Minutes Away from The City's Entertainment. Annual floating week! Beautiful oceanfront resort! Buyer May Receive A Title Fee Credit, Inquire For Details! Eager Seller! Seller would not refuse any reasonable offers! Buyer may receive a title fee credit, inquire for details! 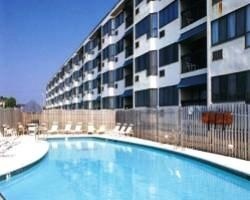 Great resort with many nearby activities and amenities! Week 4! Buyer may receive a title fee credit, inquire for details! 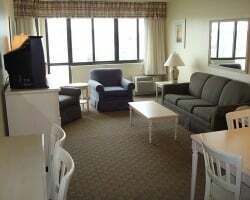 Oceanfront resort with many activities and amenities! Week 42! Buyer may receive a title fee credit, inquire for details! Motivated Seller bring all offers! 3 additional weeks available! Annual week 4 usage! Buyer may receive a title fee credit, inquire for details!